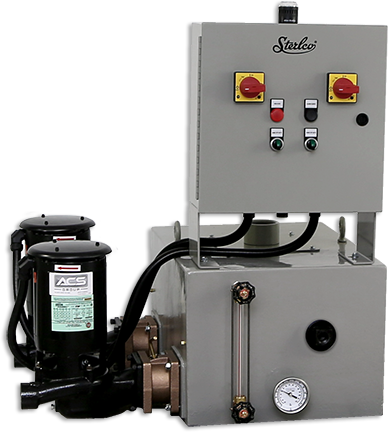 Sterlco® 4700 Series Boiler Feed Units set new standards of performance. Reliable and efficient, each unit features heavy-duty cast iron receivers for long operating life. In addition, 3450 RPM motors assure maximum efficiency while maintaining minimum motor horsepower. Available in a wide range of sizes, these U.S. made units have just the right accessories and options to meet your unique needs. Why Choose 4700 Series Boiler Feed Units?